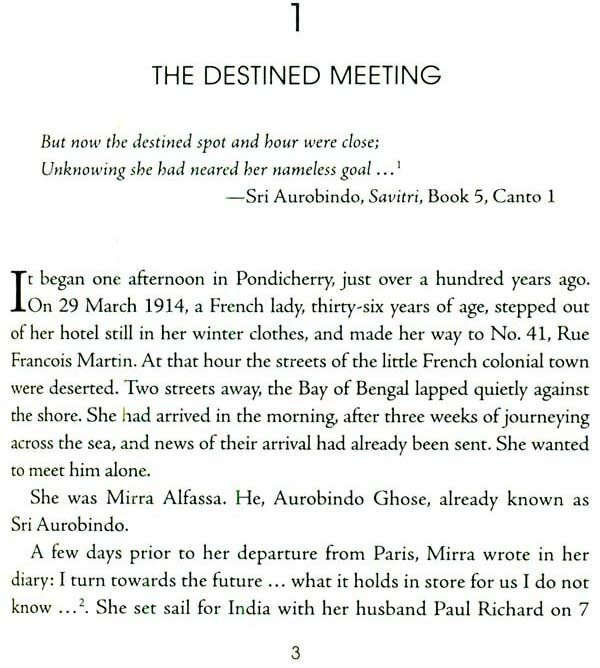 In March 1914, two people met in Puducherry: Sri Aurobindo, the Indian visionary and a leader of Indian’s independence movement, who had fled arrest by the British and sought refuge there, and Mirra Alfassa, the wife of a French politician, and who later come to be known as the Mother. 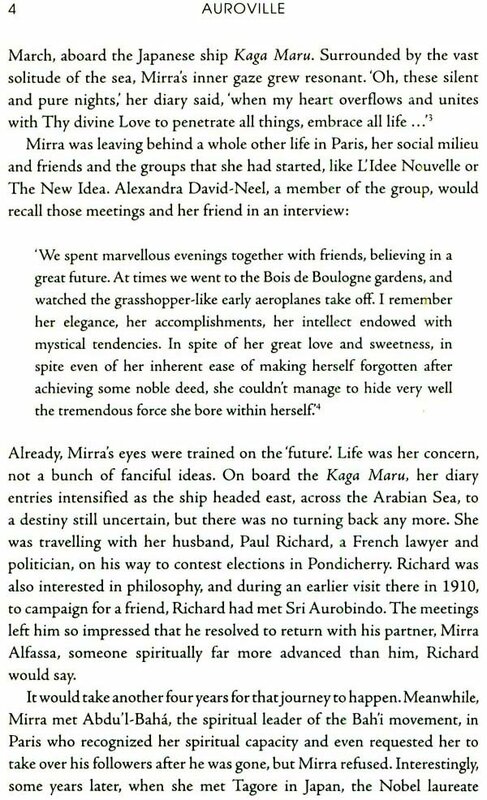 This serendipitous meeting eventually led to the birth of Auroville, which was heralded as the City for the Future. For thousands of years, people have tried to develop better ways of living but, ironically, these have led to exploitation, divisions and turmoil. Auroville is an attempt to forge a new humanity, where people can focus on inner means and technique to find an inner knowledge that empowers them to change the world without crushing it. Starting out in 1968 with a few thatched huts strewn across a barren plateau in south India, this future city began with just two things: a charter and a city plan to welcome people from around the world to create alife beyond national rivalries, social conventions, self-contradictory moralities and contending religions. Auroville was born to relize human unity through change of consciousness-a concepts that still holds value in today’s world. Told by someone who has lived the adventure for thirty-six years, this book explores how far the city has grown to resonate with its founding vision. Anu Majumdar examines the life both as a resident and as and observe. Anu Majumdar was born in Allahabad. Discovering Sri Aurobindo while at college in Kolkata was a life-changing experience which led her to Auroville in 1979. She has worked in several areas including the Matrimandir construction site, at the Pour Tous food distribution unit, as a dancer-choreographer with the Auroville Dance Lab, edited Transcript, an online journal for arts and ideas. 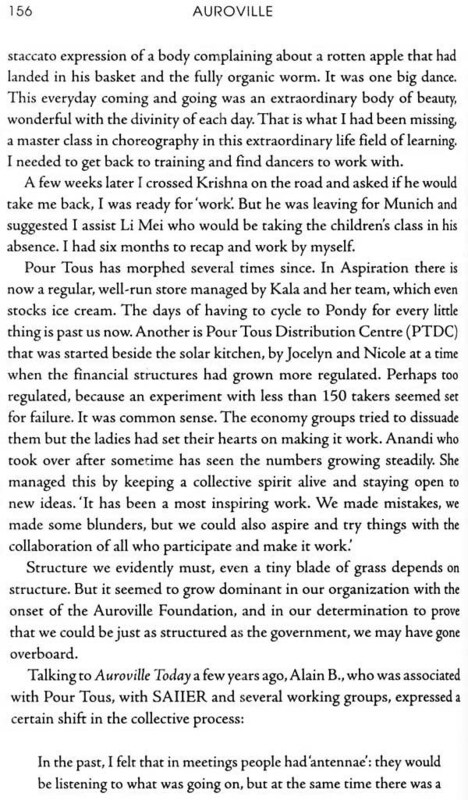 More recently she has explored the Auroville city plan as a map for integral change through talks and presentations. Her books include Refugees from Paradise and God Enchanter, Island of Infinity and Papers, Mobile Hour and Light Matter. Her poems and stories have been anthologized, written for choreography, for art installations and published in Prairie Schooner, The Punch Mag, Scroll Arts Illustrated. 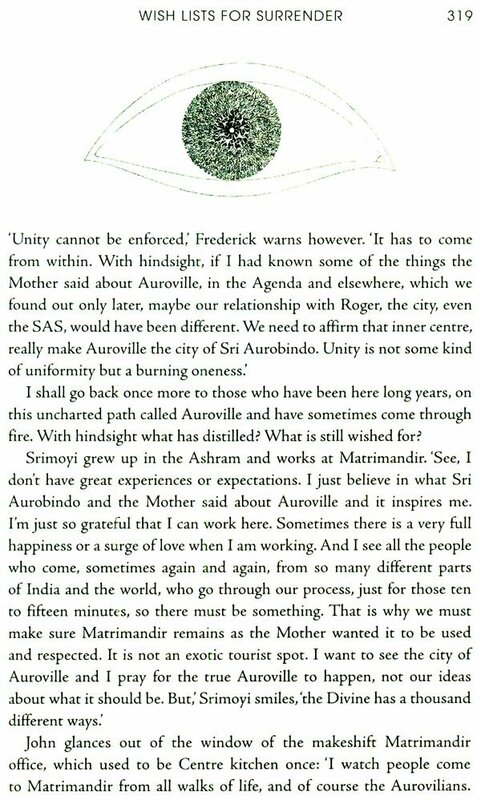 For the last thirty-six years Auroville has been her home and unfolding universe. In recent years Auroville has become synonymous with green livings, sustainable practices and environmental work. While this is certainly and admirably true, it was not always so, for Auroville, heralded as the City of the Further at its birth is a far more complex and fascinating adventure. I was asked to write my story as someone who has lived in Auroville for over thirty-five years. As an experiment that is at once personal and collective, it is natural that this book absorbs my story along with that of many others on a journey of change. Through a small place, Auroville is nevertheless, a rich and overflowing universe. 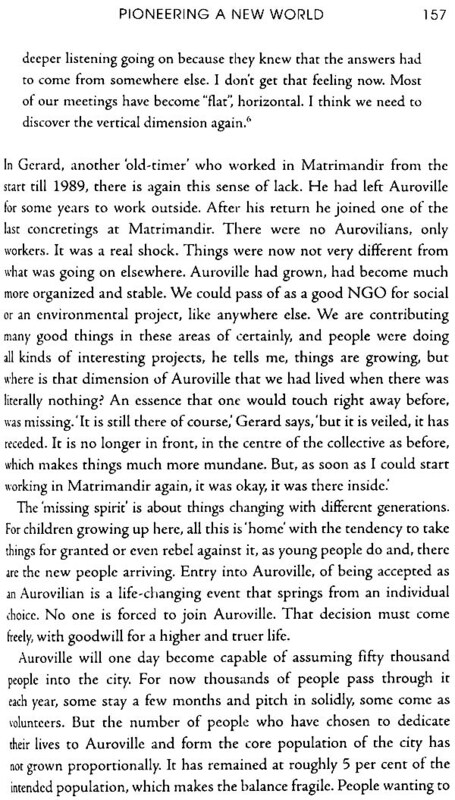 I was not interested in pursuing a ‘historical’ account as such, but to explore the nature of Auroville’s origin. What compelled its existence? Why did it have to be a city at all and what kind of future does it hope to realize? 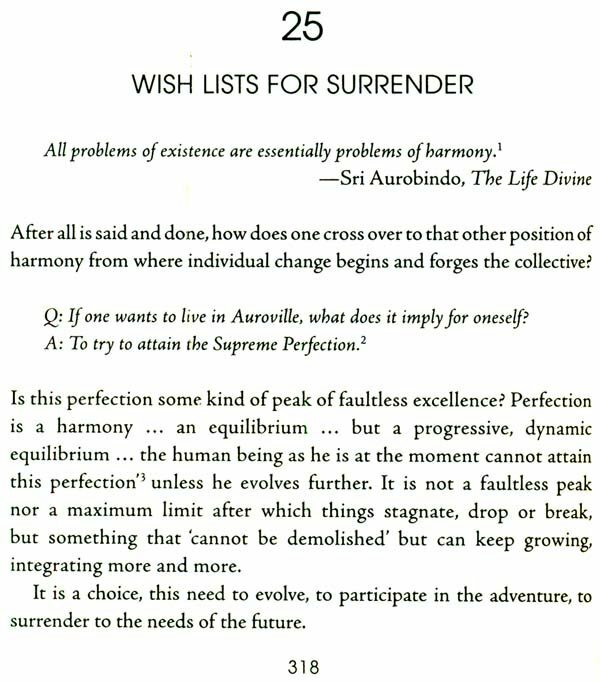 Fifty years on, what has it realized and what lies ahead for this city named after Sri Aurobindo? 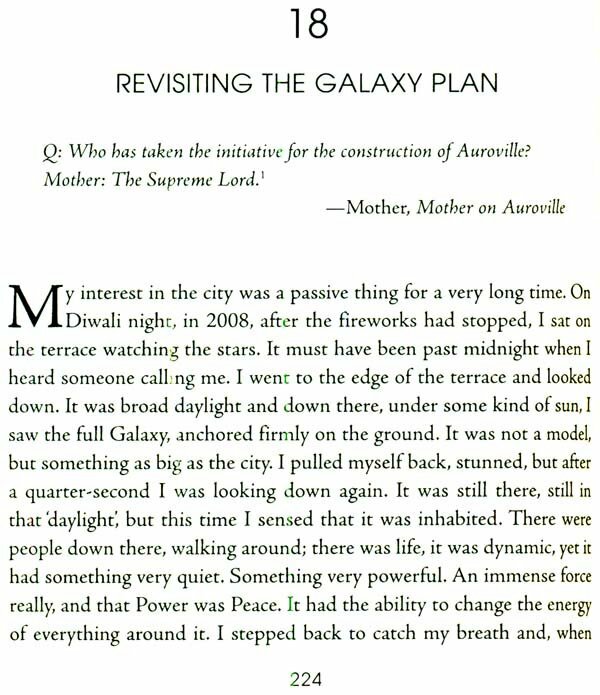 Except for a few instances, I have deliberately tracked this adventure through the lens of Sri Aurobindo and the Mother because Auroville is specific to their spiritual work and vision for the world. Many things seem to have fallen off the map in the past decade or so, but as I sieved through material, new and old, it became evident that much of what we are missing now, particularly the city, still lies safe in Auroville original vision. It can still shake us all up and begs to explored as human crisis peaks around the world. While the story of Auroville can and will be told in many ways, now and in the future, it is not a ready-made utopia. Rather it is a future being tried and tested through lived human experience , full of difficulties and challenges, beauty and infinity, and through the many inner and outer transformations needed to create a future for humankind. I have used the Auroville Charter to structure this book in four broad sections: consciousness, unending education, the city and human unity. The four sections are both Chronological and cycle< like the porous and overlapping zones of the city, each part percolating and synergizing its experience with the other. There are some quirks however; Throughout, people are referred to by their first names, as they are in Auroville. I opted for this to retain a live flavor and multiplicity and a sense of how people relate to each other. I would like to thank HarperCollins India for initiating Auroville: A City for the Future. 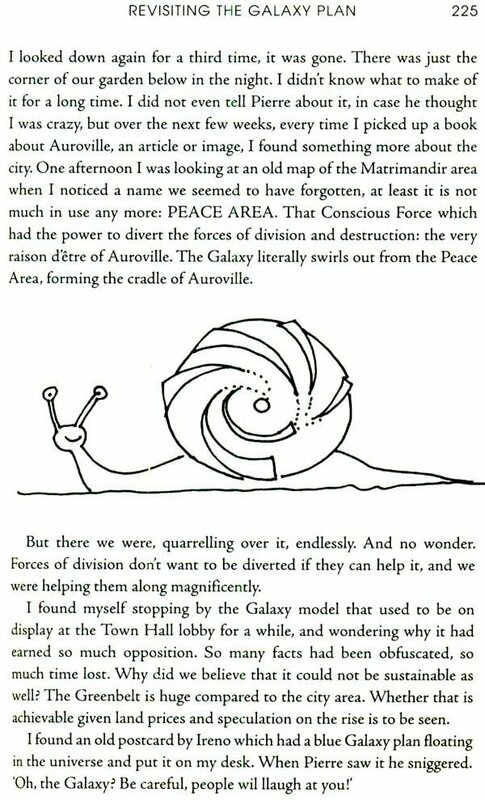 It has taken long, five years, a marathon of a book in some ways, but in the process it has overhauled and enriched my perception of Auroville and also helped me understand that this city is not limited by present mental, ideological or cultural trend, but is an anchor cast ahead for generations to come to an adventure of consciousness and joy.